You really don’t know me, do you? Anyhow, I encourage everyone to download this, spread it around, and enlist in AstroBase today. The Adventures of the USS Carpathia in Outer Space!! A shadowy hacker has crashed the Carpathia’s computer and James Perry, private detective is on the case! Trading his pilot’s cap for a weatherbeaten fedora, Perry prods the ship’s seamy underbelly in pursuit of the one thing it seems money can’t buy: the truth. Will the stalwart first officer solve the mystery in time to salvage the Captain’s trade negotiations? Where does Ollie’s vidya game fit in all this? Why did Korgath cancel yoga? And who the hell is Lorraine? Ever ask what rap would be like if the lyrics were rewritten to be children’s songs? Of course you have! And we did it! This spiritual episode starts with New God Flow, to new age mental aggression, to the Old God Flow – meaning friendly religious fundamentalists from Kansas. After receiving a hail from a planetary supercomputer, the Carpathia makes a stop at the run-down planet Bouniffalia. Eager to partake in alternative shore leave, Lt. Perry sets about building walls for wall-less locals. After Faye and Korgath ditch him for the planet’s volcanic spas, he teams up with a suspicious missionary from ReligiCorp. Meanwhile Ollie and Capt. Derby evaluate the artificial intelligence for personhood – though they’re more interested in assailing it with their personal beliefs. 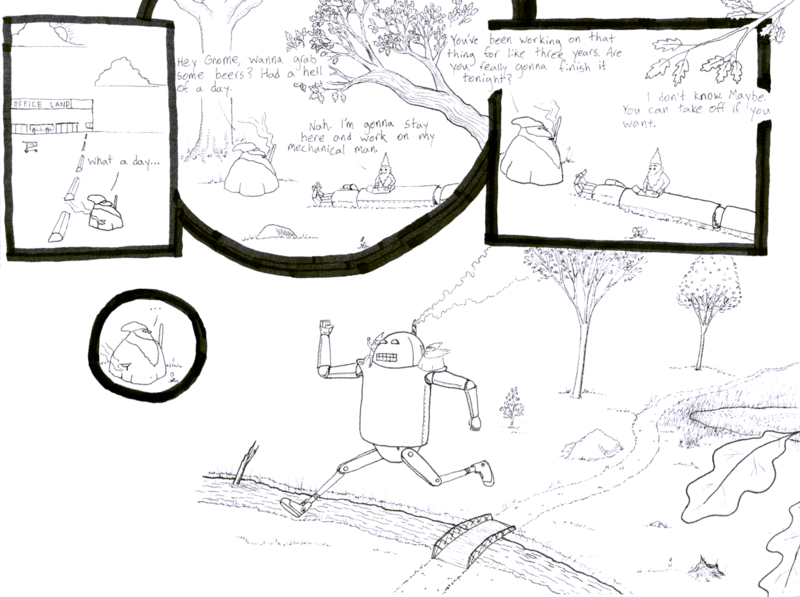 Sara Leavens – Engineer Faye Chinsky, Artie the A.I. 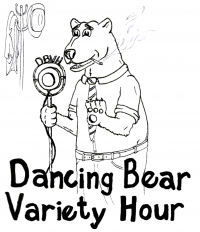 Dancing Bear Variety Hour is on the road this episode, with sketches about Detroit cops, wild boars from Los Angeles, the return of Chopper Claude as a New York tour guide, and the tallest buildings in Topeka, Kansas. We skipped a couple of months there, but have no fear! The return of sketches means the return of our vaunted Tallest Building in Topeka Awards. I won’t give anything away, but this month’s winner is a real tall building! The crew enjoys a layover on an orbiting casino, until a rowdy gang of Menelaeans burst in and accuse Derby of kidnapping their captain’s daughter! Determined to stop an ill-advised wedding, the rival captains team up and pursue the love-struck couple across a grand tour of Tallinor Prime’s most romantic locales. Meanwhile, Faye helps Korgath experience the human activity known as gambling. A pile of sketches that put familiar characters in unfamiliar situations, beginning with the shadowy union of cult TV and, well, cults. Also, a group of three stooges man a missile silo, a PSA from the new supervillain in town, and Khalid Sheik Mohammed is a sportscaster! 4. Dangerpus Industries is Coming to Town! After returning to the Carpathia, Derby witnesses his crew’s LifeDay celebrations and the hardships caused by his selfishness. Stricken with grief and anger, Derby is presented one final vision – that of LifeDay future. 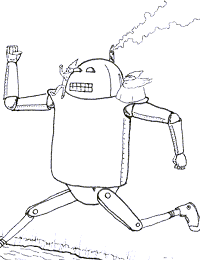 The Grand Galactic Witnessinger shows Derby the terrible fate that awaits him if he does not change his arrogant ways. Having seen the importance that LifeDay holds to those around him, will Derby repent and in time? It’s holiday season aboard the Carpathia, but Captain Derby is in no mood to celebrate. After cancelling LifeDay leaves for the entire crew and isolating himself in his quarters he is visited by the ghost (?) of Dr. Tobayashi, who warns him an emissary from a grand galactic race, is coming to teach him the true meaning of LifeDay. Upon arrival, the Grand Galactic Witnessinger presents Captain Derby with scenes of LifeDay past, showing him how he lost his holiday spirit and became the bitter, selfish man he is today. The crew of the Carpathia returns to AstroBase HQ in glamorous Colorado Springs. Lt. Perry attempts to reconcile with family, Captain Derby makes time for the night life, and Engineer Chinsky crosses paths with an old Academy classmate. Hard decisions must be made when Faye must choose between duty and friendship, Perry considers returning to the family farm, and Derby weighs the pros and cons of late checkout.